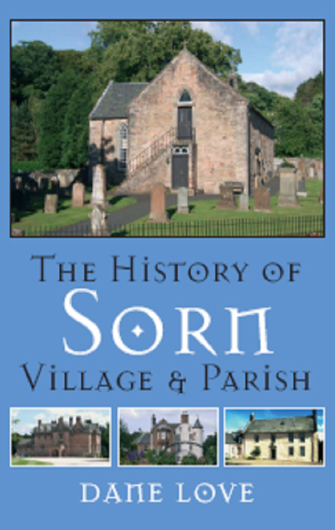 A complete history of the Ayrshire village of Sorn, complete with its parish (excluding Catrine). This is the first full account of the parish, and has chapters on Early Times, Parish Life, Roads and Transport, Estates and Landowners (Sorn Castle, Gilmilnscroft, Auchmannoch, etc. ), Churches, Education, Industry and Commerce, Agriculture, Recreation, Sons and Daughters. Also a unique appendix listing farms and their occupiers over the years. No person living in Sorn, or having a Sorn connection should be without this book. The History of Sorn can be ordered direct from the author's online Bookshop.